Can you tell I am officially on the Instant Pot bandwagon?? I try to find anything and everything that will make meal times easier. 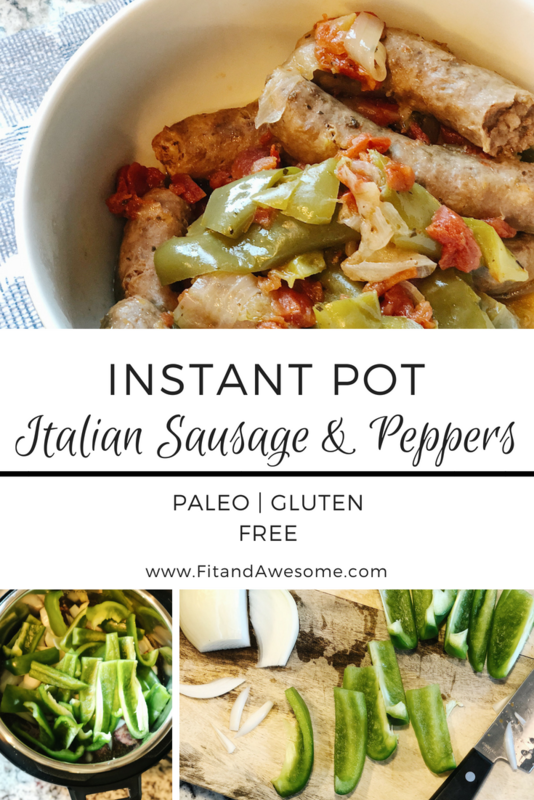 This Instant Pot Italian Sausage and Peppers recipe will be a perfect addition to your weekly meal plan! 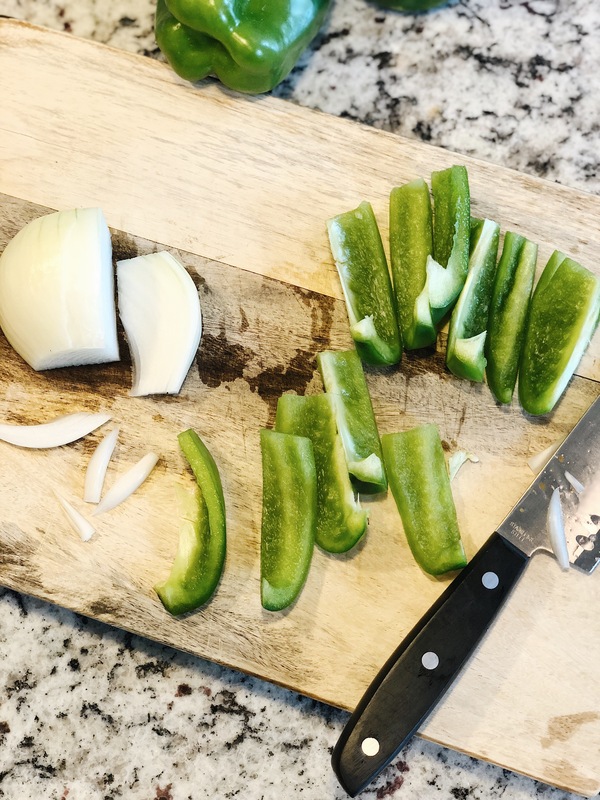 One of the things that makes meal planning easy for me is to keep it under 5 ingredients. It can be frustrating and very costly, trying to follow recipes with a long list of ingredients. 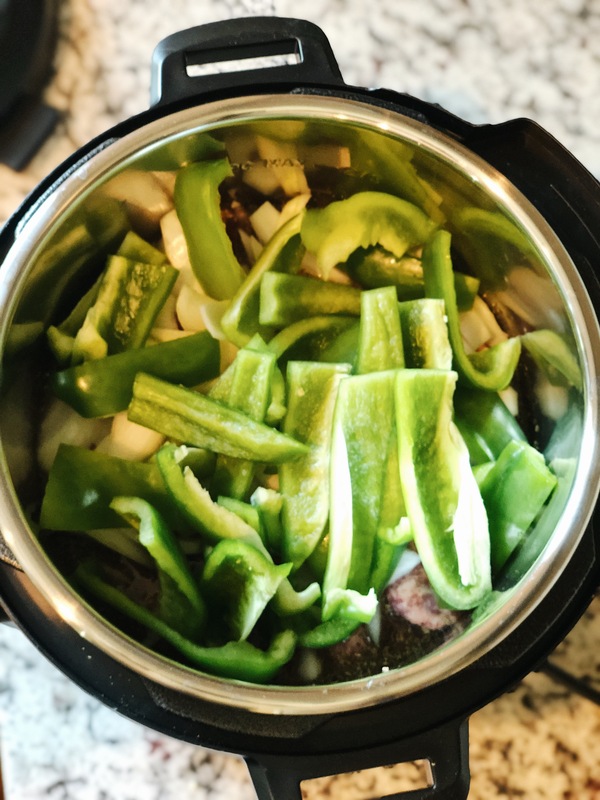 Now that we’ve purchased our Instant Pot, it seems like you really can throw anything in there and have a meal in under 25 minutes! If you haven’t done so already, take the plunge and grab your Instant Pot here. 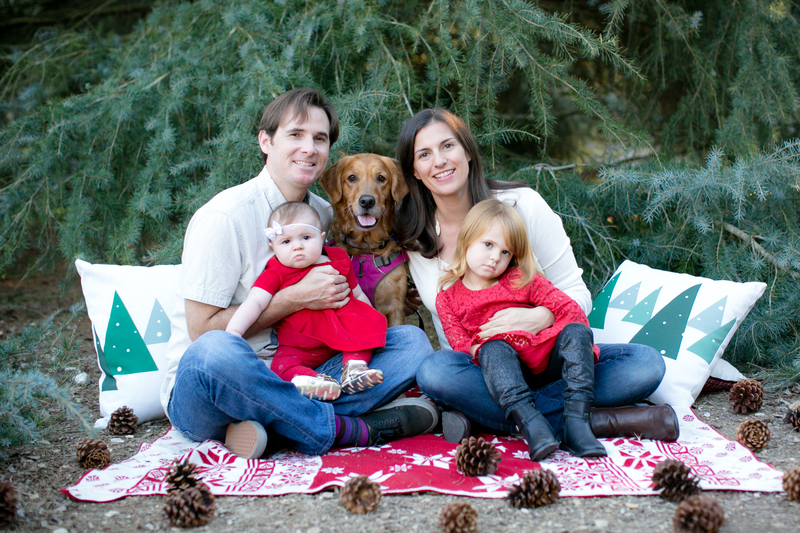 I’m hoping you will follow along because I can’t wait to start sharing Paleo and Gluten Free recipes! 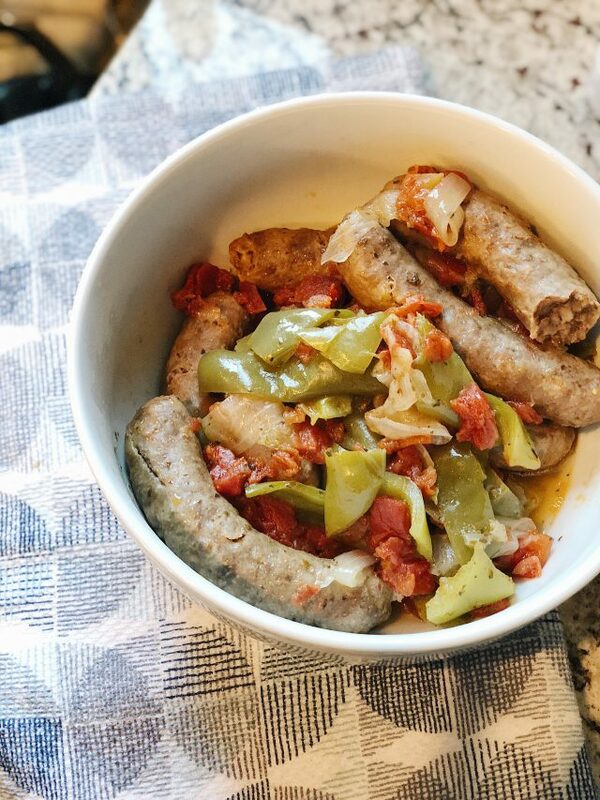 Check out a family favorite – Italian Sausage and Peppers. 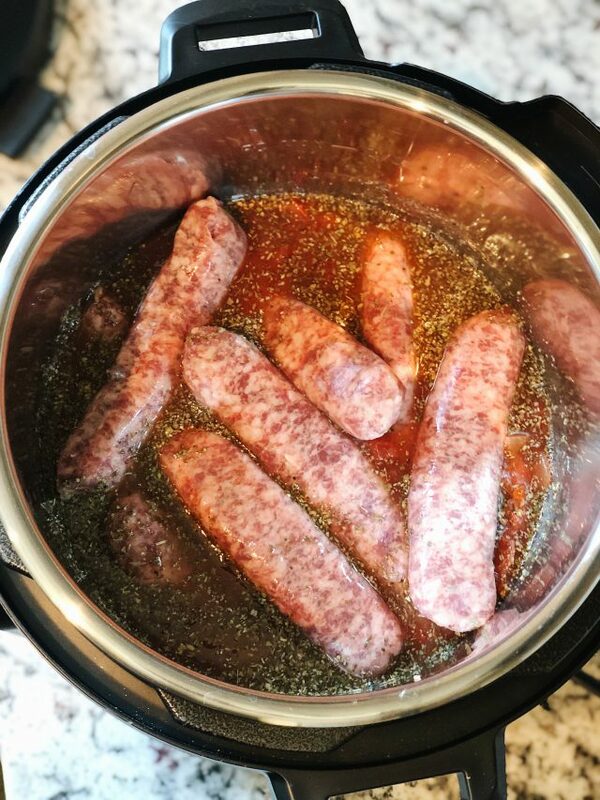 This quick meal was so simple and the smell of the italian sausage was to die for! My husband came home and was salivating, he couldn’t wait to dig in! This is also a great recipe because it is very versatile. I added more peppers for myself, while my husband enjoys all the onions. 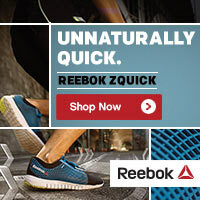 You could easily mix it up with zucchini or yellow squash. Have some fun with it! Check out the recipe below & enjoy! Place the two cans of diced tomatoes, cup of water, basil, garlic powder and italian seasoning in the Instant Pot. Place the peppers and onions on top of the sausage - do not mix. Lock the lid and set the timer for High Pressure - 25 minutes. When timer is done, use the quick release and carefully remove lid. Please remember to turn off your Instant Pot! *I served this with orzo, you can easily use rice, mashed potatoes or leave by itself! What are your favorite Instant Pot recipes? !